Click here to read the last published VISIONS#33! Our previous editions can be found on Slideshare. Do you have any questions, problems with access or do you want to share your own clinical experiences by writing an article? Contact VISIONS! 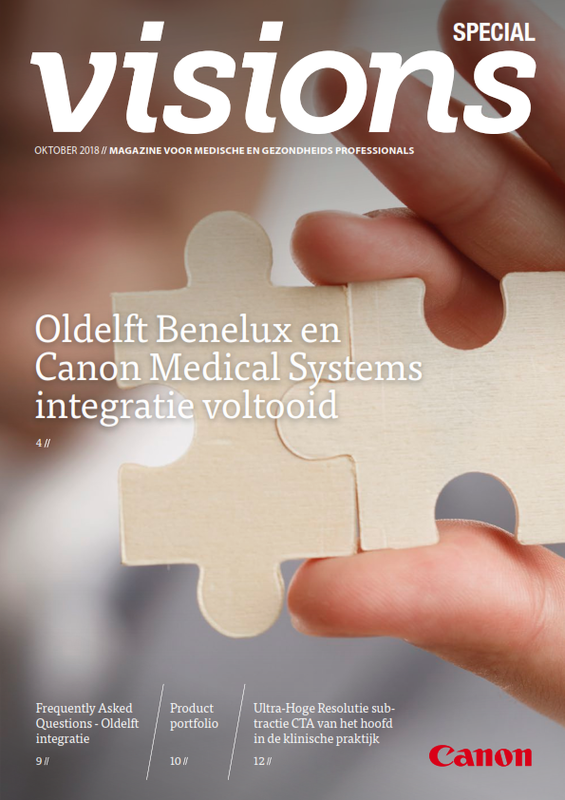 We created a Visions Special, which is dedicated to the integration between Canon Medical Systems and Oldelft Benelux. In this special edition you can find all information about the integration, from interviews till FAQ’s. Please click here to download the magazine.